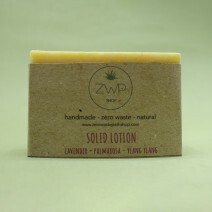 Floral: This bar is scented with lavender, palmarosa and ylang ylang essential oils, which create a delicate, sweet and floral blend. Please note that because this product is handmade, therefore, slight variations in shape,colour, scentandweight may occur. Please note that we use a natural,almond-based glue on our labels.